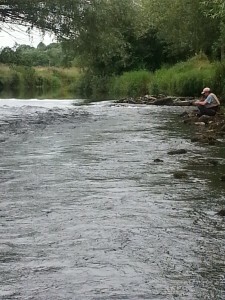 Noreside Fly-fishing offers certified guiding and fly fishing tuition on the river Nore in Co. Kilkenny. Based in Thomastown; just 30 minutes drive from Waterford and 15 minutes from Kilkenny this limestone fishery is a serie s of fast runs, rifles and glides and is arguably the most picturesque river valley in southern Ireland.The season starts on March 17th and finishes September 30th. There are some eight miles of river to explore; stocked with an abundance of native wild brown trout and prolific fly hatches throughout the season you are promised a memorable outdoor experience. Your guide Noel Molloy has the internationally recognised S.T.A.N.I.C qualification (the salmon and trout association national instructors certificate) and is also a member of the “fly dressers guild”. 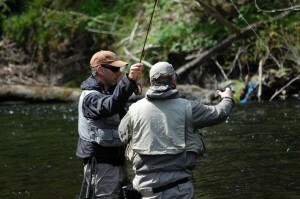 He has intimate local knowledge of the river and over thirty years fly fishing experience. Beginners are encouraged and young anglers are catered for. The emphasis is always on having fun and keeping things simple. Someone new to fly fishing, will learn how to choose the correct tackle, how to set up your gear, where and when best to fish. Casting techniques are covered and how to present your fly, what the trout feeds upon, what flies are most likely to work on any day. We encourage catch and release while demonstrating how to properly handle and return fish. The more experienced angler may wish to learn, or improve upon more advanced casting techniques or fishing strategies, Czech, Spanish, French and Polish nymphing can all be addressed and demonstrated. 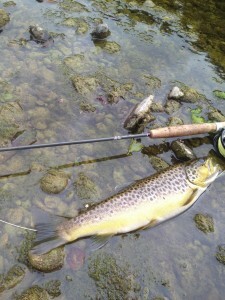 Dry Fly and Dry Dropper among other methods of catching fish can be covered at you request. Please feel free to contact us on the details provided. 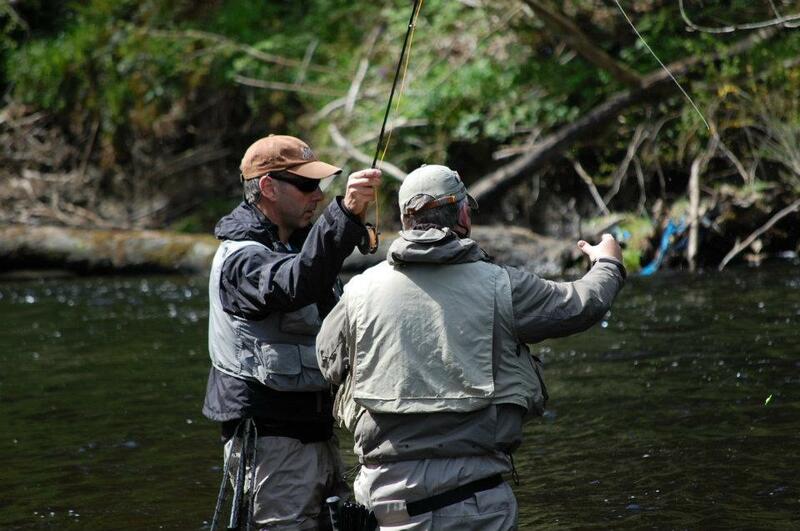 Also check back regularly for updates and information on up and coming master classes in angling and fly tying. We look forward to hearing from you soon and we promise you a memorable experience with us.